Leandra Lederman, William W. Oliver Professor of Tax Law and director of the Law School's tax program, is the recipient of Indiana University's 2019 Tracy M. Sonneborn Award. The award honors faculty for accomplishments in the areas of teaching and research. Named for the late eminent scientist Professor Tracy M. Sonneborn, the award is given to an exemplary researcher who is also well known as an exemplary teacher. Lederman will deliver the annual Sonneborn Lecture this fall. She is currently on a sabbatical leave as a Fulbright Scholar in Luxembourg. Named for the late Tax Court Judge Theodore Tannenwald, Jr., and designed to perpetuate his dedication to legal scholarship of the highest quality, the Tannenwald Writing Competition is open to all full- or part-time law school students, undergraduate or graduate. 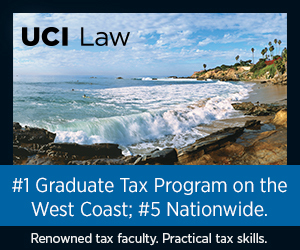 Papers on any federal or state tax-related topic may be submitted in accordance with the Competition Rules. The winner of the International Fiscal Association's 2018 International Tax Student Writing Competition is Ivan Ozawa Ozai (McGill), Tax Competition and the Ethics of Burden Sharing, 42 Fordham Int'l J. 61 (2018). Prize: $2,000 cash, plus expenses-paid invitation to the IFA USA Branch Annual Meeting in Boston on Feb 27-28, 2010. Plenty of professors have strong opinions about whether laptops belong in the classroom. They also pride themselves on holding opinions based on research. So a new paper investigating the difference between taking notes longhand or on a laptop was bound to attract attention. But that doesn’t mean it offers a definitive answer. The paper, How Much Mightier Is the Pen Than the Keyboard for Note-Taking? A Replication and Extension of Mueller and Oppenheimer (2014), was published this week in Educational Psychology Review. As the title suggests, the authors tried to replicate a well known study that found that students who took notes by hand fared better on conceptual test questions than did those who typed notes on a laptop [The Pen Is Mightier Than the Keyboard: Advantages of Longhand Over Laptop Note-Taking]. Students who took notes on a laptop wrote more, and were more likely to write what a lecturer said verbatim, according to the original study. Perhaps, the authors of that study wrote, students taking notes on laptops did so “indiscriminately or by mindlessly transcribing content,” did not form a deep understanding of the material, and therefore did worse on the items that demanded such understanding. Yale has gone 2-1," a faculty member in political science told me, in the tone he presumably used in the classroom when discussing the perils of nuclear proliferation. It became a refrain. During my 10 years as dean of the College of Arts and Letters at Notre Dame, the question of teaching schedules — a phrase I unsuccessfully tried to substitute for "teaching loads" — hovered in the periphery of my day-to-day life. Sometimes it occupied center stage. At times I wondered if the question — "Could I have a course off for that?" — would be chiseled on my tombstone. It’s a "first-world problem," as the kids say, and I hasten to acknowledge that deans or department chairs struggling with collapsing budgets, or faculty members routinely teaching four courses per semester, may want to proceed to the next article in The Chronicle Review. For the rest of you, a question: How many courses per semester should a faculty member at a major research university teach? The question is rarely asked — because it’s in no one’s interest to ask it. Not presidents, since in public institutions they, unlike faculty members, have to answer questions from more or less curious and informed state legislators about how professors use their time. Not provosts, deans, and department chairs, struggling to sustain the Maginot Line of standard teaching schedules while also competing to hire faculty members. Not graduate students, whose courses are typically taught by tenure-line faculty members anyway. And not professors, eager to conduct more research, certainly, but also craving the flexibility of a schedule not burdened by the day-to-day rhythm of class meeting times. John Boyer’s absorbing recent history of the University of Chicago is one of the few places where the topic is discussed. (Not coincidentally, Boyer is a longtime dean.) I suspect that the pattern he outlines there is typical: Tenure-line faculty members taught six courses per year (that is, two per quarter) through the 1960s, then five, and now, at most, four. Over time, teaching schedules, like salaries, began to vary a good deal by department or program. Dame’s pattern was similar: Faculty members in the humanities, social sciences, and arts moved from 3-3 on a semester system in the 1970s to 3-2 and then 2-2 in the late 1980s. When I started as dean, in 2008, tenure-line faculty members in science and engineering taught 1-1, with the expectation that they would be running funded labs; those in business taught 3-0. The "0" came about when the business school identified a semester without teaching, remarkably, as the uniform policy at the top business schools. Humanities, social-science, and arts faculty members taught two courses per semester. Helicopter professors, like their parenting counterparts, hover over students, guiding them precisely, and swooping in to rescue them from any hint of failure or challenge. Just as helicopter parenting can be harmful to children, helicopter professoring poses similar threats to students, not the least of which is creating disengaged students dependent on professors for all aspects of their learning and development. The instinct to be a helicopter professor is understandable in light of several social and cultural circumstances of today’s legal education. First, law students today are largely Millennials who were helicoptered parented and educated in a system that often focused solely on test results. Second, law professors are at times overly focused are garnering positive student evaluation scores, which may be easier to do with a little extra spoon feeding. Professors too may themselves be helicopter parents in their non-work hours, a behavioral pattern that too easily can infiltrate the classroom. Finally, law schools today are seeing a rise in students that have a consumerist attitude and in some cases lower academic credentials; those types of students expect and perhaps need additional assistance. But satisfying that need, combined with the focus on quantifying assessment practices and on improving teaching techniques, may easily cross the line into helicopter behavior. Three influential calls for reform in legal education, the MacCrate Report, the Carnegie Report, and most recently the Stuckey Report, have all recommended that professors use teaching methods to provide greater opportunities for students to practice problem solving skills and receive feedback on their performance. Being a lawyer is much more than memorizing rules; students need to be able to understand the big picture and use the details to problem solve. This article details how to use audio and written podcast summaries to help students see the big picture in a subject and how each smaller topic fits together into that bigger picture. On the detail side, quizzes and “Treasure Hunts” get students to read statutes apply them to different problem situations. The Federal Bar Association Section on Taxation sponsors an annual writing competition and invites law students to participate. The Section on Taxation has named this annual competition—the Donald C. Alexander Tax Law Writing Competition—in honor of former IRS Commissioner Don Alexander, who passed away in 2009. Throughout his career, Mr. Alexander was both a widely admired role model and an advocate for writing skills and style in tax law. Dorothy Brown is a nationally recognized scholar in tax policy, race, and class and has published extensively on the racial implications of federal tax policy. She is highly sought for her expertise in workplace inclusion issues, a respected speaker in the legal community, and a regularly engaged expert by media including CNN, National Public Radio, The New York Times, National Law Journal, The Washington Post and Forbes. She is currently working on a book entitled The Whiteness of Wealth. This article addresses the other side of the coin, teaching. Most law schools make claims about the high-quality instruction students will receive. And we believe that all law school faculties and nearly all individual law professors aspire to excellence in the classroom. This article focuses on the efforts law schools and professors can make to fulfill that aspiration. Open to: All students during the 2017-18 academic year pursuing a graduate degree. Any appropriate papers written in fall 2017 or spring and summer 2018. Submission Deadline: September 30, 2018. Prize: $2,000 cash, plus expenses-paid invitation to the IFA USA Branch Annual Meeting in Feb 2019. Full-time and part-time faculty of the IU McKinney School of Law convened together with campus and university partners from the IUPUI Center for Teaching and Learning and Indiana University e-Learning Design and Services for the second annual “Upward!” teaching symposium at the beginning of Fall Semester 2017. The two-day gathering involved panel discussions on topics including online teaching, online course design, teaching externships, designing lessons for the law school’s active learning classrooms, teaching international students, and teaching with an eye to the bar exam. Participants enjoyed a field trip to IUPUI campus offices supporting the university’s teaching mission, including the Center for Teaching and Learning and the recording studio. Panelists contributed to this joint publication, which includes sole- or joint-authored submissions by Professors Adams, Baker, Boyne, Huffman, Ryznar, Shope, and Sullivan; an introduction by Dean Klein and Professor Huffman; and reactions to the primary papers. These submissions reflect a variety of scholarly methods, drawing from empirical study, anecdotal observation, and theoretical analysis. Why do highly competent and hard-working law students struggle to apply what they learn in legal writing to later clinical courses and law practice? The authors of this article are uniquely qualified to answer this question and to provide strategies for helping students overcome these common struggles. The authors direct the nationally renowned legal writing and clinical programs at Seattle University School of Law, where they have engaged in cutting-edge collaborative teaching projects for nearly a decade. Even so, they found that their students, when faced with the messiness of real client representation, struggled with typical research and writing problems even as the legal writing faculty exclaimed "We know we taught them that!" So the program directors extensively studied the educational literature on transference, then spent nearly two years taking each other's courses to understand more deeply how we could help our students apply what is taught in each program to future client work. This article describes what we learned from these endeavors. The legal education community remains concerned with the resiliency of law students and lawyers. In other fields, a growing body of research suggests that students' mindsets are linked to their resilience, and it is assumed that the findings will hold in legal education. However, to date, there has been no empirical research to support these assumptions. This article describes an empirical study of law students' mindsets based on responses from 425 students at six law schools across the United States. Our results unveil a troubling trend in law students' mindsets at different stages of the law school experience. This article reports our findings that law schools may foster maladaptive mindsets in their students. It also offers some pedagogical interventions that might counter this trend and points law schools in a direction that could not only improve performance, but also students' resiliency as they move from law school into legal practice. It is written from the normative position that fixed mindsets are maladaptive and growth mindsets should be fostered. Based upon research to be outlined, this article subscribes to a belief that when law students are struggling—an inevitable part of law school and practicing law—their mindset will differentiate their ability to learn from mistakes, persist, and remain resilient. [W]e know student evaluations matter. Perhaps the better question is: Should they? Given their many demonstrable and potential flaws, why would we still use them to gather feedback on teaching and learning? It turns out the answer is more complicated than appearances suggest. Certainly, students are not experts qualified to evaluate us on, say, whether we used the best and most applicable course readings. But they are experts on what they experienced and learned in a course, and they ought to have a voice. Just because their feedback is sometimes misused doesn’t mean it’s invalid or unnecessary. In fact, course evaluations — despite their many problematic elements — may still provide the most accurate information available on teaching effectiveness. Elizabeth Barre, whose research into student evaluations — in particular, the metastudies of the subject — is essential reading, observed that "we have not yet been able to find an alternative measure of teaching effectiveness that correlates as strongly with student learning. In other words, they may be imperfect measures, but they are also our best measures." The latest study [Gender Bias in Student Evaluations], released this year by the American Political Science Association, found that the "language students use in evaluations regarding male professors is significantly different than language used in evaluating female professors." The study also showed that "a male instructor administering an identical online course as a female instructor receives higher ordinal scores in teaching evaluations, even when questions are not instructor-specific." Kristina Mitchell, one of the study’s authors, summarized its findings in Slate last month and concluded: "Our research shows they’re biased against women. That means using them is illegal." Academic institutions must stop giving an inordinate amount of weight to student evaluations when making employment decisions, she argued, until the institutions can account for, address, and eliminate bias. [I]t’s time to stop relying primarily on one approach — in this case, student evaluations of teaching — and move to a more holistic strategy in which multiple factors contribute to a more accurate, consistent, and well-rounded assessment. I was convinced of that by my experience as director of the program in communication and legal reasoning at Northwestern University’s law school. For professors, student evaluations are used to assist decisions on promotions, raises and tenure. But research from North Carolina State University shows that the evaluations a professor receives are linked to their gender, with male professors receiving higher and more favorable ratings than female professors [What’s in a Name: Exposing Gender Bias in Student Ratings of Teaching]. In 2014, researchers at N.C. State used online courses, where an instructor’s gender could be hidden, to test this gender bias. Four sections of an online class were taught by two instructors: a female instructor and a male instructor. Each taught two sections, using their true identity for one and adopting a name of the opposite gender for the other. This is the first year that the site teams will be evaluating a law school's compliance with the new standard. We knew it was coming and I have been on a committee for the past three years that has been trying to translate this standard into operation. While I believe we have done a good job with it, I also believe the standard to be of questionable value. I read with pleasure this New York Times op-ed by Molly Worthen, The Misguided Drive to Measure 'Learning Outcomes'. I especially like its concluding line: "[T]here's just no app for that." To the uninitiated, tax moot court might sound like a bit of a snoozefest. Unlike the academic marathon of a spelling bee or the sassy courtroom repartee of "Judge Judy," deliberations over the finer points of U.S. tax code do not make for a lively spectacle. Colker: Stop Banning Laptops In Law School Classrooms! Banning laptops in the classroom constitutes a needless barrier to academic performance that is increasingly common at the university level. In this article, I review the existing literature that is cited to support laptop bans and show how that literature does not, in fact, support such a ban. Further, I report a modest empirical study that reflects that students who use laptops in a large lecture class do as well as students who do not use laptops so long as Internet use of the laptop is clearly and effectively banned. The article concludes that a permissive laptop policy should be on the list of Universal Design features that supports effective learning for all students. The American College of Employee Benefits Counsel is sponsoring its 14th Annual Employee Benefits Writing Competition on any topic in the field of employee benefits law. The competition is open to any J.D. and graduate (L.L.M. 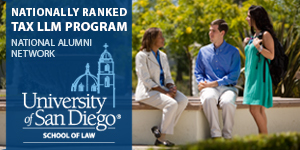 or S.J.D) law students enrolled at any time between August 15, 2017 and August 15, 2018. The past decade has seen a dramatic increase in the number of business law clinics in legal academia. This increase in clinical transactional courses has not, however, resulted in a proliferation of transactional tax clinical offerings. Although tax issues, including federal, state, and local tax matters, are an integral consideration of nearly every business transaction, most business law clinics explicitly exclude tax representation from their client services. For clients of business law clinics that are social enterprises — companies that combine market-based business strategies and social mission — this lack of tax-focused representation is problematic for two reasons. Non-empirical law school study advice that emphasizes reading and briefing cases, memorizing rules, and outlining without frequent self-testing and formative self-assessment is contrary to cognitive science and leads to a "law school learning trap." Law students fall into a "law school learning trap" by focusing on memorization of cases and rules for "class prep," putting off practice application of the law as "exam prep." Law students and legal educators misjudge the power of testing as a learning tool, instead relying on non-empirical, anecdotal resources to guide law student study methods. Empirical research from a Law Student Study Habit Survey shows that practice application of the law through self-testing, self-quizzing, and elaborative strategies positively correlates with academic success in law school, while reading and briefing cases, weak critical reading skills, and rote memorization of rules without practice applying the law negatively correlates with academic success in law school. The Socratic method is much maligned these days. I do not personally use it when teaching Tax. I use a problem method where I lecture on a topic then assign homework problems to the students which we then go over in the next class period. But I do use the Socratic method of teaching when I teach my first year students Civil Procedure. I confess I am not great at it, but I think that, properly used, it really helps students learn how law is both determinate and indeterminate at the same time. It's not determinate when you are trying to predict the legal outcome (is the deduction allowable or no? does the court have personal jurisdiction over the defendant or no?). But it becomes determinate once the legal authority rules! That was the point of my post the other week about the power of fact-finding. Here's a nice opinion piece in the Washington Post about how Socrates would not make it as a teacher in today's high schools. The Federal Bar Association Section on Taxation is once again sponsoring an annual writing competition and invites law students to participate. The Donald C. Alexander Tax Law Writing Competition is named in honor of former IRS Commissioner (1973-1977) Don Alexander, who passed away in 2010. Mr. Alexander was a widely admired role model and advocate for writing skills and style in the area of tax law throughout his career. Open to: All students during the 2016-17 academic year pursuing a graduate degree. Any appropriate papers written in fall 2016 or spring and summer 2017. Submission Deadline: September 30, 2017. Prize: $2,000 cash, plus expenses-paid invitation to the IFA USA Branch Annual Meeting in February 2018. An alternative to traditional moot court competitions, the Law Student Tax Challenge asks two-person teams of students to solve a cutting-edge and complex business problem that might arise in everyday tax practice. Teams are initially evaluated on two criteria: a memorandum to a senior partner and a letter to a client explaining the result. Based on the written work product, six teams from the J.D. Division and four teams from the LL .M. Division receive a free trip (including airfare and accommodations for two nights) to the Section of Taxation 2018 Midyear Meeting, February 8-10, 2018 in San Diego, CA, where each team will defend its submission before a panel of judges consisting of the country’s top tax practitioners and government officials, including tax court judges. 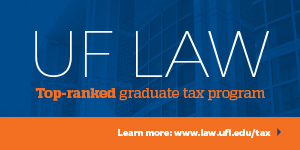 The competition is a great way for law students to showcase their knowledge in a real-world setting and gain valuable exposure to the tax law community. On average, more than 50 teams compete in the J.D. Division and more than 30 teams compete in the LL .M. Division. For over 30 years, students at the University of Cincinnati College of Law have had the opportunity to recognize excellence in teaching by recognizing professors who distinguish themselves in the classroom, and whose accomplishments in research and public service contribute to superior performance in the classroom. Jennifer Bird Pollan, James and Mary Lassiter Associate Professor of Law, is the recipient of the 2017 Duncan Teaching Award at the University of Kentucky College of Law. Professor Bird-Pollan joined the UK Law faculty in 2010. She teaches a variety of Tax Law courses, including Basic Income Tax, Corporate Tax, Partnership Tax and International Tax. She is fully engaged in the academic welfare of her students and they enjoy her both inside and outside the classroom. As I've mentioned previously, the Savannah Law Review is hosting a colloquium on September 15, 2017 entitled The Rise of the Automatons, examining the legal implications of automation. Ominous predictions like "the Singularity is coming" usually provoke me, and this one prompted my project for this summer, Halting, Intuition, Heuristics, and Action: Alan Turing and the Theoretical Constraints on AI-Lawyering, now available. Shelby Miner (UCLA), The Use Tax Problem: Practicality or Propriety? What is the optimum mix (if there is to be a mix at all) in legal education as among theory, doctrine, and "skills"? And as to the "skills," who is going to teach them? And as to transactional skills, historically the least amenable to either simulation or clinic pedagogy, add "how" to the question of "who." Oh, and by the way, what do law professors have against getting practitioners actively involved in both the "who" and the "how"? Those are the subjects of a provocative article, Barriers to Entry: Putting it Together School by School (to be published in the Journal of Experiential Education) by Jay Finkelstein, a corporate and securities partner at DLA Piper in the D.C. area.